It's been a long time coming, but Rare will finally be showing off its newest game at E3 this year! Studio Creative Director Simon Woodroffe confirmed the news on his Twitter account in response to a fan's question. "E3 (and beyond!!!). E3 will tell the world what Gregg Mayles' new project is about." Put on your speculation skull caps and speculate away, my friends! 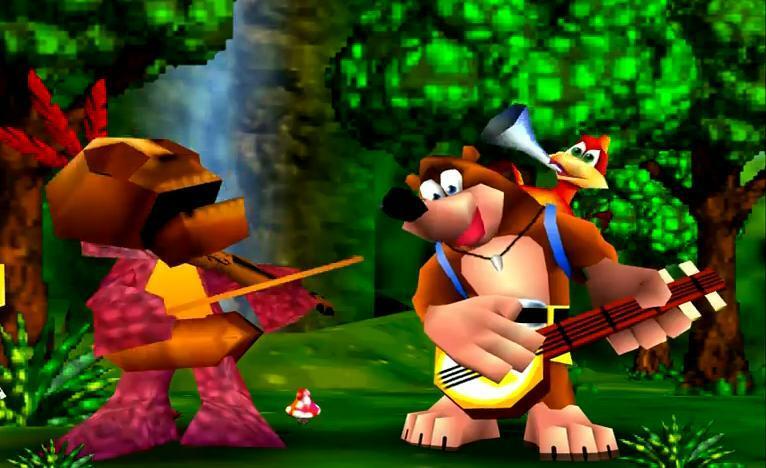 Many believe that this game will be a new Banjo-Kazooie title as Rare itself has dropped huge hints about it over the past year. Xbox Boss Phil Spencer has also commented on the project after a visit to Rare, stating that the studio is "building a uniquely Rare game, as it should be." Let's just hope Phil Spencer doesn't believe that Kinect Sports Rivals is a "uniquely Rare game." Don't worry, he's gone on record to say that he is a fan of the Nintendo 64 days of the company, just like everyone else. If indeed the new game turns out to be a new Banjo Kazooie title, it already has competition right out the front door from Playtonic Games' Yooka-Laylee. This massive Kickstarter success is being developed by former members of Rare from the days of its creative peak, and it just looks like an absolutely wonderful Nintendo 64 platformer with a modern day coat of paint. It was the fastest game to ever reach $1 million on Kickstarter, and it now stands at $2 million with 43 days to go. Whichever is better, we are sure that the two projects will try to outdo one another, meaning two great games for us. Oh, the joys of sweet, sweet competition!